My Gift to God. Lesson 8 in "Overcomers"
God gives His children many wonderful gifts, but God's greatest gift to us is the gift of His Son, the Lord Jesus Christ. 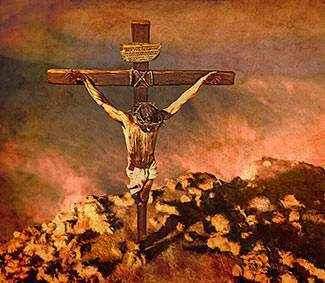 First He gave Christ to me, to die for my sins, so I could become a child of God. Then God gave Christ to me, to live in me, so I could live like a child of God should live. It is time now for me to think about what I can give to God. If I truly love God and appreciate all the great things He has done for me, I will want to give Him the gift that will please Him most of all. What is the gift from me that pleases God most of all? Is it the gift of my money? No, God does not need my money. Is it the gift of my work for Him? No, it is not this either. The gift that pleases God most of all is the gift of myself! If I truly love God with all my heart, I will want to give Him this gift that He desires most of all. This is the gift which the believers in the city of Corinth gave to God. The Bible says, "[They] first gave their own selves to the Lord…" (2 Corinthians 8:5). When you love someone with all your heart, you like to show your love for them by giving them the best gift that you can give them. A thirteen-year-old girl listened intently while the pastor told of God's love for her. He told how God loved her so much that He gave her the best gift He could ever give to her—He gave His Son to her. 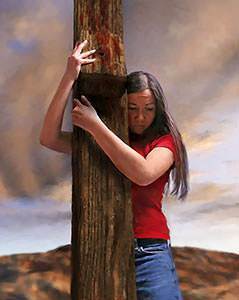 He spoke of how the Lord Jesus loved her so much that He willingly went to the cross to die for her sins. The girl's heart was deeply moved by what she heard. She loved the Lord with all her heart, and she wanted to show her love for Him. She had no money, so it seemed as though she had nothing to give to the Lord. Then she thought of a gift that would please God very much. When the usher passed the offering plate, she whispered to him, "Please lower the offering plate." He lowered it. Then she said, "Please lower it more." The usher lowered it more, down close to the floor, but again she whispered, "Please lower it more." Finally, when the offering plate reached the floor, the girl stood in it. She was giving the Lord the very best gift she could ever give to Him. She was giving herself to the Lord! The very best gift we can give to the Lord is the gift of ourselves. This is the gift that the Lord appreciates most of all. What does it mean when I give myself to the Lord? It means that I am giving my life to the Lord, to do His will instead of my own will. 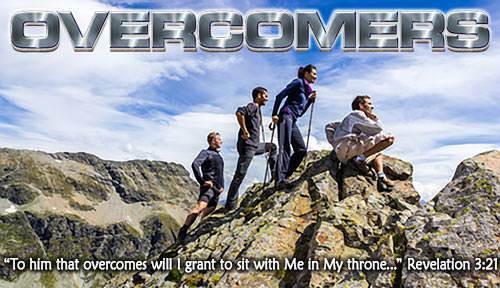 My enemy, Satan, does not want to see me give myself to the Lord. He hates God and he hates me. He may say to me, "Don't give your life to the Lord! If you do, He will make you do hard things that you don't want to do." But Satan is a liar! Suppose a kind and loving father has a little daughter whom he adores. The little girl likewise loves her father. One day she crawls into her father's lap and says, "Daddy, you are so good and so wise and you know what is best for me. I love you so much that I want to give myself to you, to do whatever you tell me to do." What do you think the father would say? Would he say, "Oh, good! That's what I have been waiting to hear you say. From now on you can't have any fun. You cannot go outside to play, and you have to eat things you don't like three times a day!" Would a loving father say this to his child whom he adored? No, he would never say this. He would say something like this: "My precious child, I love you with all my heart. I want only what is best for you. My greatest delight is seeing you happy and contented." This is the way it is with our heavenly Father. He loves His children and He wants only what is best for them. He delights to see us happy and contented. 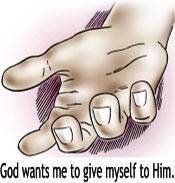 Why should I give myself to the Lord? I was a slave of sin and Satan, but the Lord Jesus bought me and delivered me from my enemies. Now I belong to Him. He is now my Master. 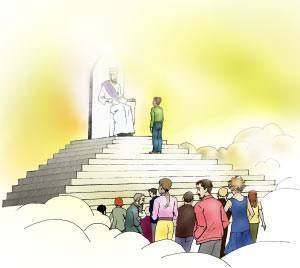 This means that He is the One who has the right to be obeyed. No matter what happens, I will always belong to Him. The Bible says, "…Whether we live therefore, or die, we are the Lord's" (Romans 14:8). 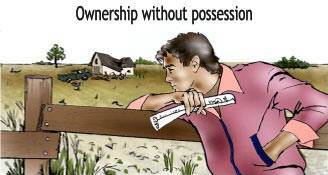 There is a difference between ownership and possession. Ownership means that I own something; it belongs to me. Possession means that I have the use of something. A man wanted to buy a farm that adjoined his land. What was this farm like? It was not pretty at all. In fact, it looked terrible! The owner lived in another city and he had rented it to others for many years. The tenants had not taken care of the farm at all. They allowed people to dump trash on the land. There were deep gulleys in the fields where the rains had washed away all the good soil. The fields were full of weeds. Poisonous snakes were living in some of the run-down shacks on the farm. Why would a man want to buy a farm like this? He wanted to buy it because he knew what he could do with it. He knew that he could make the farm beautiful and productive. In his mind, he could see rich pastures of grass and clover and a beautiful lake stocked with fish. He and the owner agreed on a price for the farm. However, the owner told him that the farm had been rented for the rest of the year. He could buy it now but he could not take possession of it until the end of the year. The man paid the full price of the farm and received a deed saying that the farm now belonged to him. For several months he spent time walking about over the property, seeing what needed to be done. He had all kinds of wonderful plans for that farm, but he could not do a single thing he wanted to do. He had ownership of the farm, but he did not have possession. On the very first day of the new year, when he took possession, he began working to make the farm what he wanted it to be. In time it became one of the most beautiful and valuable farms in the whole area. My life was like that old farm. It was not pretty at all. But the Lord Jesus loved me just as I was, and He paid a great price to "buy" me. That price was His own life. Why did the Lord Jesus do this? He did it because He wanted to make something beautiful out of my life. To do this, He must not only have the ownership of my life, but He must have possession of it. Does the Lord have possession of your life? "Lord Jesus, thank You for loving me so much that You gave Your life for me. I know that I belong to You. Now, by my choice and by my will, I am giving my life to You so that You can do what You want to do with it." What makes us want to give ourselves to the Lord? We know that we should give ourselves to the Lord, but what makes us want to do this? It is the love of Christ. The Bible says, "The love of Christ constrains [compels] us." When we realize what He did for us and how much Christ loves us, we want to give ourselves to Him. You will be blessed by giving your life to the Lord. God is asking you to give your life to Him. There is no substitute for this. Bible study, prayer, telling others about Christ, going to church, doing Christian work—these are all good things, but they cannot take the place of giving your life to the Lord. "Well done, good and faithful servant. You gave your life to Me and I was able to do all that I wanted to do with it. Come, enter into the joy of your Lord." If I have trusted the Lord Jesus as my Savior, my life belongs to Him. The question is not, "Do I belong to the Lord Jesus?" but "Have I given to the Lord Jesus my life, which already belongs to Him?" "God, I believe and now understand that I belong to the Lord Jesus. I believe that He wants to make my life beautiful and useful. I realize that the Lord Jesus must have possession of my life in order to accomplish His purposes. His love has so filled my heart that I want to give Him my life. 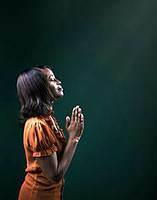 This day I have definitely decided to give the Lord Jesus possession of my life." "Lord Jesus, I want You to be able to do all that You have planned for my life. I know that I belong to You. By my will and by my choice, I am now giving my life to You, the best I know how. I pray that You will enable me to live such a life of love and service to You as I will wish I had lived when I see You face-to-face in Heaven."